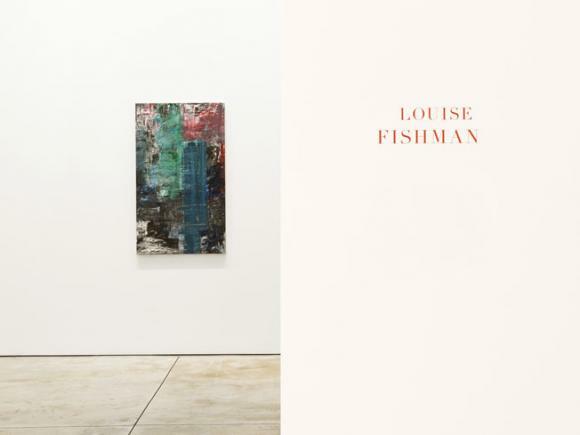 Cheim & Read is pleased to announce an exhibition of recent work by New York painter Louise Fishman. The show will be accompanied by a full-color catalogue with an essay by Judith Stein. Known for gestural abstractions characterized by unique intersections of color and space, Fishman has long recognized the effects of personal, cultural and political experience on her work. Many of the paintings in this exhibition were inspired by her recent stay at the Emily Harvey Foundation artist’s residency in Venice, Italy. Fishman’s deep understanding of art history—her mother and aunt were artists (both studied at the Barnes Foundation) and she grew up among art books and art-centric discussion—was buoyed by the aged, layered streets of Venice, where one of her favorite artists, Titian, once walked. Her new paintings are infused with theatricality, no doubt inspired by her Italian sojourn. Compositions echo traditional ascension or crucifixion motifs, confirmed by painted swaths of upward and outward movement. Halos of paint radiate from the cores of Fishman’s canvases, allowing for unexpected drama. Blue saturates many paintings, providing a stepping stone between works. The color is evocative of the Virgin Mary’s lapis robes, and of Venice’s ubiquitous water. While in Venice, Fishman limited her studio practice to drawing and watercolor. With a camera, she recorded her impressions on daily walks. It was upon returning to her New York studio that the effects of the residency became pronounced in her work. Often painting three or four canvases at one time, Fishman’s characteristic exploration of material and technique coincided with a marked shift in gesture and mark-making. Picture postcards of Venetian paintings were tacked to the studio wall, and paintings like Titian’s Assumption of the Virgin made their influence known. The works Assunta, Calle dei Cinque, Angel and Stone, and Calle Maria Callas directly reference her Venice stay, the last also citing her love for opera. Fishman’s experimental use of materials—nubby jute canvas in some cases, the application of paint with her fingers in others—is consistent with her oeuvre and adds depth to her multi-layered, carefully constructed compositions. Powerful in physical presence, Fishman’s work is remarkable not only for its technical mastery, but also for its embodiment of both conscious and unconscious elements. Her abstractions are emotionally evocative—Fishman may reference a specific personal experience, but the feeling she conveys can be collectively understood. Punctuated by intensely focused energy, her work is continually re-charged by her viewers’ reactions. Born in 1939, Fishman was an active participant in the feminist movement and is an advocate of gay and lesbian rights. She unapologetically confronts the male-dominated history of artistic discourse: her decisive re-appropriation of Abstract Expressionism repositions it for a different era and gender. Fishman’s Venetian paintings claim a bit of history as well: her transformation of the Virgin’s assumption into a richly textured abstraction of blues and grays weaves threads of artistic inspiration for a new audience. On view in New York at Tilton Gallery, Louise Fishman Five Decades, curated by Simon Watson opening September 5. On view at the Woodmere Art Museum in Philadelphia, Generations: Louise Fishman, Gertrude Fisher-Fishman, and Razel Kapustin, October 13, 2012 – January 6, 2012.